It’s time to get on board with The Giant Insider – The only publication devoted to the New York Giants. Subscribe now to The Giant Insider, the publication Giants fans rely on for expert reporting, analysis and opinion on their favorite team all year long! 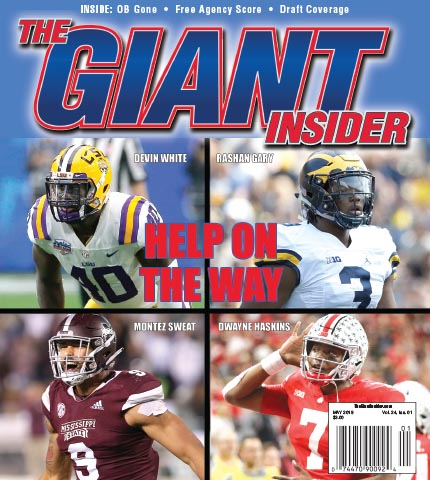 The Giant Insider is published bi-weekly during the football season, plus special offseason issues covering free agency, the draft, minicamps, training camp and preseason games. Don’t miss an issue!